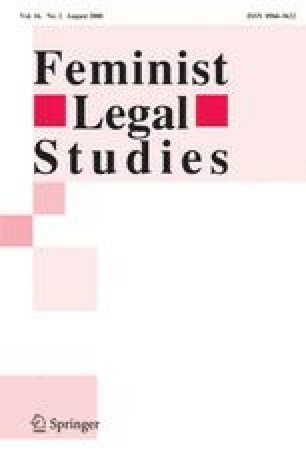 This article explores commonalities between parental claims for lesbian co-mothers and other contexts in which intention is a key aspect to family formation for (mostly) heterosexual families: in particular, surrogacy and pre-birth disputes over embryos. Through a series of case studies drawn from recent reproductive controversies, the paper uses the lens of empathy to argue for social or non-genetic modes of parenthood connecting lesbian mothers and other ‘reproductive outsiders’. My thanks to Tiffany Hambley, Anita Stuhmcke and Lesley Townsley for their comments on earlier drafts, as well as on-going discussion of many of the ideas informing the paper, and to Kirsten Camarsh for her research assistance. Harrison, Linda. 2005. A survey measuring the impact of NICE Guidelines 11: Fertility—assessment and treatment for people with fertility problems. Survey two: Fertility experts. http://www.nice.org.uk/nicemedia/pdf/NICE_Fertility_Expert_Survey.pdf. Accessed 10 July 2008. Human Fertilisation and Embryology Agency. 2005. Revised guidelines: Welfare of the child and information sections under the Code of Practice. http://www.hfea.gov.uk/en/490.html. Accessed 10 July 2008. Human Fertilisation and Embryology Agency. 2006a. Figures for treatment of single women and lesbian couples 2000–2005. http://www.hfea.gov.uk/cps/HFEA/files/Figures_for_treatment_of_single_women_and_lesbian_couples_2000-2005.pdf. Accessed 10 July 2008. Human Fertilisation and Embryology Agency. 2006b. Freezing and storing your eggs: Factsheet. http://www.hfea.gov.uk/docs/Freezing_storing_your_eggs_final_Nov06.pdf. Accessed 10 July 2008. Human Fertilisation and Embryology Agency. 2007. HFEA guide to infertility 2007/08. http://www.hfea.gov.uk/docs/Guide2.pdf. Accessed 10 July 2008. Jackson, Russell. 2007. IVF waiting list grows to three years. The Scotsman, 8 May. http://news.scotsman.com/topics.cfm?tid=459&id=712182007. Accessed 10 July 2008. Millbank, Jenni. 2003. And then…the brides changed nappies: Lesbian mothers, gay fathers and the legal recognition of our relationships with the children we raise – Final report. Sydney: Gay and Lesbian Rights Lobby. http://www.glrl.org.au/pdf/major_reports/NappiesApril2003.pdf. Accessed 27 March 2008. Stephens, Lucy. 2007. IVF blow for the childless. The York Press, 30 April. http://www.yorkpress.co.uk/news/campaigns/doctor/display.var.1364376.0.ivf_blow_for_the_childless.php. Accessed 10 July 2008.